Dog sledding is fun on fluffy white snow, but dog mushing on wheels is even more fun experience on dry land after all the snow evaporated. 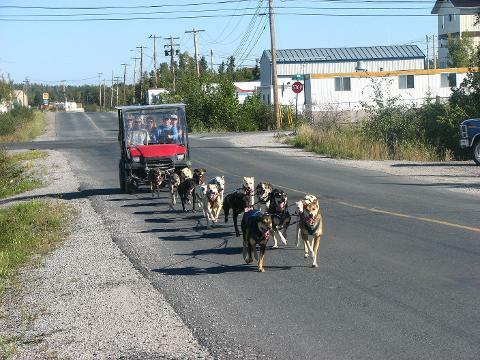 On this two hours guided dog mushing on wheels tour you visit dog's kennels to learn the heritage of dog mushing and racing. Tour the kennels and get up close pictures with some of dog racing champions. 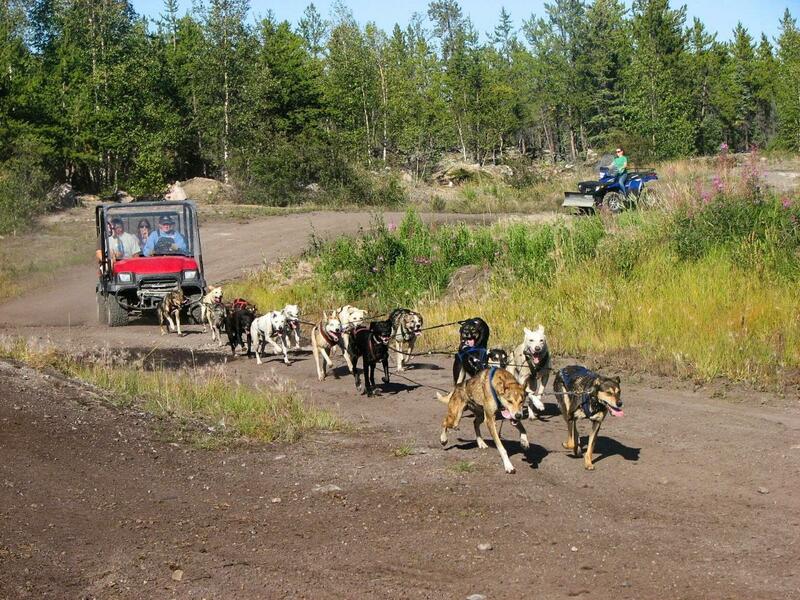 After the kennels tour sit back in ATV as sled dogs take you for a ride on dry land in training preparation for winter dog sledding.